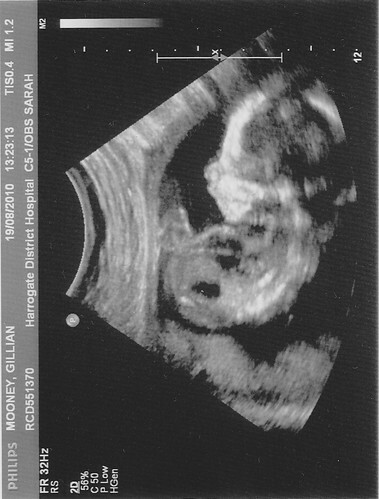 It's a strange and awe inspiring feeling, having just been to the maternity day unit at the local hospital to have Jill's 21 week scan, to have seen your child before it's born. New arrival expected around 1/1/11, and, yes, we know. Just a quick entry to say that I’m back! I’ve not posted here very much for the last few months due to a variety of reasons including work being crazy at the end of May/beginning of June, holiday in June for a fortnight, then three weeks of training courses on Environment and Safety topped off with the joys of my ISP. Oh yes, Pipex/Tiscali/TalkTalk are a complete pain (again). They managed to lose the virtual redirect for http://www.dom.mooney.dsl.pipex.com/ which meant unless you know my ISP username you wouldn’t find this site. I really must get my act together and actual get myself a domain and some external server space to get out of this ongoing fun. Expect posts in the future on the holiday, my favourite gadget of the moment (my iPad) and perhaps more! And hopefully this is a good Friday the 13th! Anyway, must dash. I need to pull my copies of Power Projection out in preparation for a game at Tom Zunder’s tomorrow. Not played it for more than a year so looking forward to it immensely. UPDATE 27/8/2010: Clearly, I wasn’t back. Dear old Pipex/Tiscali/TalkTalk changed all their login details, including the server address, and didn’t bother to amend anything even in the account details and listing. Had enough of this. Grr!